While Amy and I were at South Street Seaport to sightsee, shop, and meet up with Riffola, we saw this Jedi Knight. Luke, I am your Gap saleswoman. 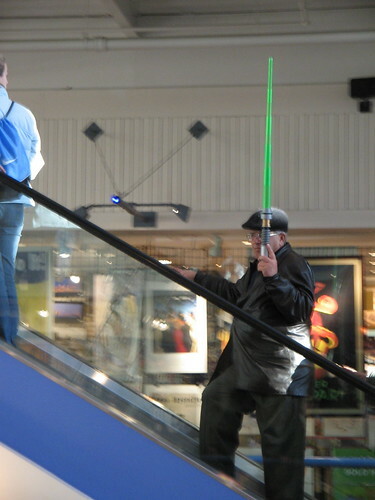 He seems so wise with his Jedi saber. I’ll have to get one of those for myself. Maybe in blue. I saw one of those at Borders downtown. My overwhelming question is: why?